Units are now shipping! The timing couldn't be better for this little IoT desktop widget that we think should appear on the pages of the Robb Report. The patent is secured. This device displays the live stock index of your choice without any screens or digital numbers. 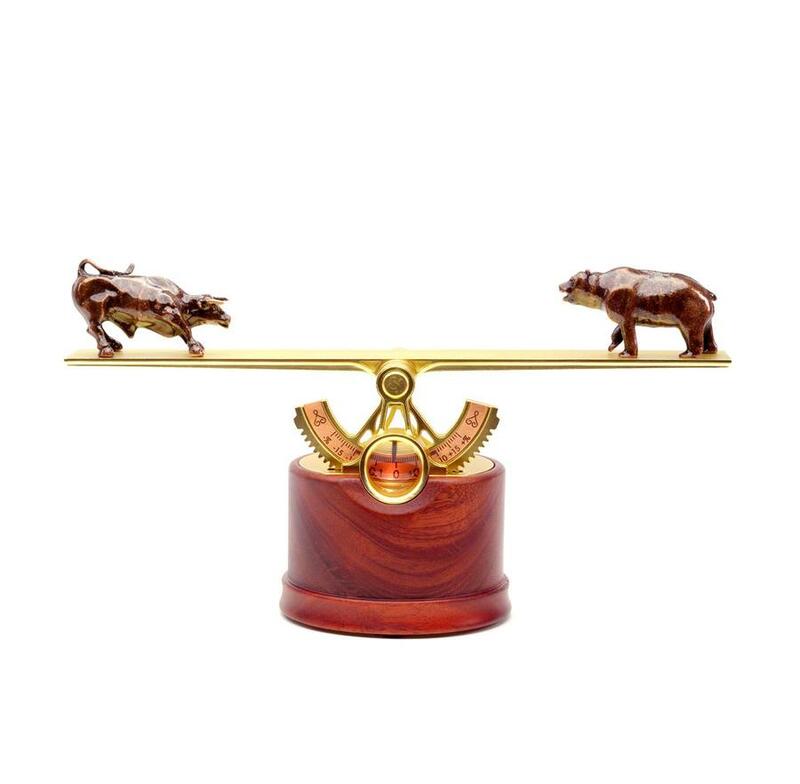 Sit back and enjoy watching your stock portfolio climb and fall with this enchanted object. Congratulations to our friends at August & Wonder for such an inspired design. 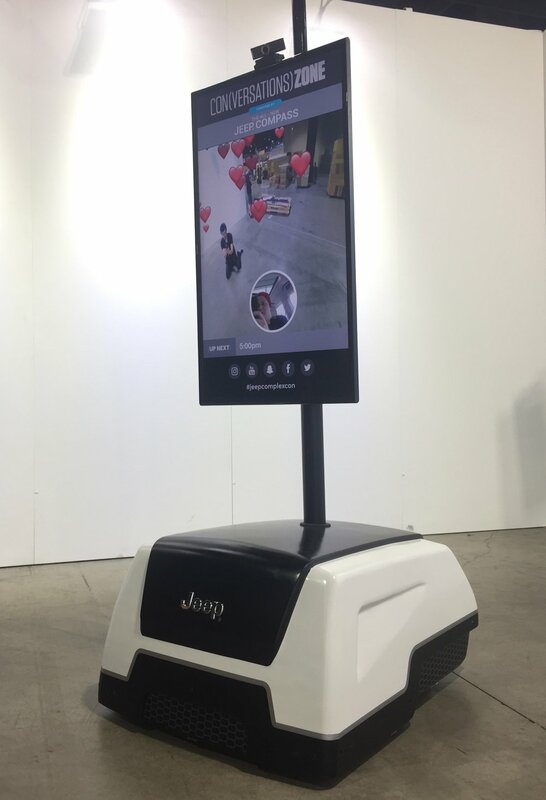 Jeep's Telepresence Robot aka "Chatbot"
DotDotDash is a multimedia production house in Portland that provides 'brand experiences' through the creative use of technology. They challenged us to make a mobile, semi-autonomous 'Chatbot' for Jeep's sponsorship of the 2017 ComplexCon in Long Beach, California. 2-way video, voice, obstacle avoidance, and an all-day uptime. They loved it. 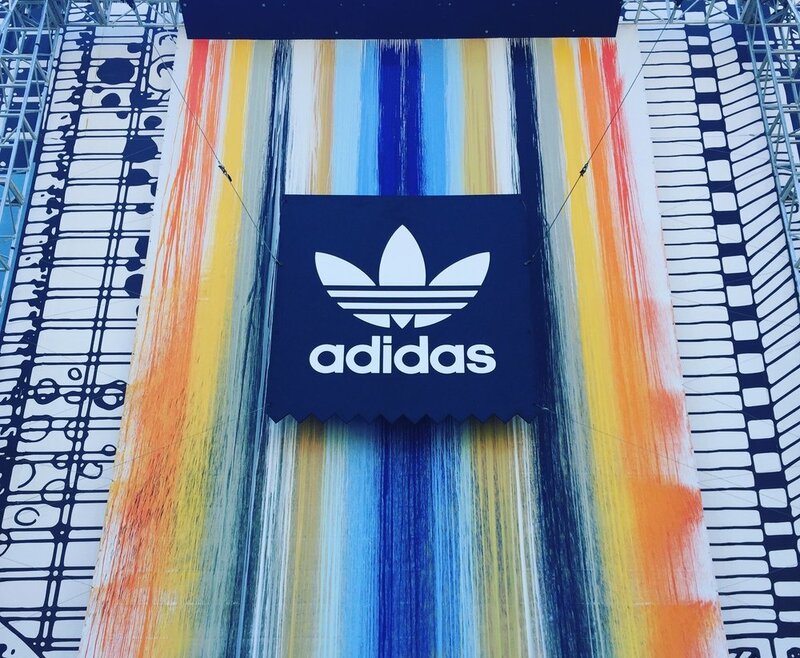 Starch Creative is a media production company that works with Adidas. Starch Creative challenged us to build a 20’ wide x 40’ tall interactive paint canvas where people could walk up and apply paint to the canvas without getting their hands dirty. With a little Arduino and Touch Designer programming, 20 solenoid valves and 400 gallons of paint we had users painting the canvas all day long. We were tasked from our associates at DotDotDash to make a hypercube controller for the HTC Vive tracker. Made from carbon fiber tubing and 3D-printed connectors, this multidimensional controller would allow users to navigate their way through a series of generative tunnels being projected on the ceiling above and had to withstand crowd punishment. 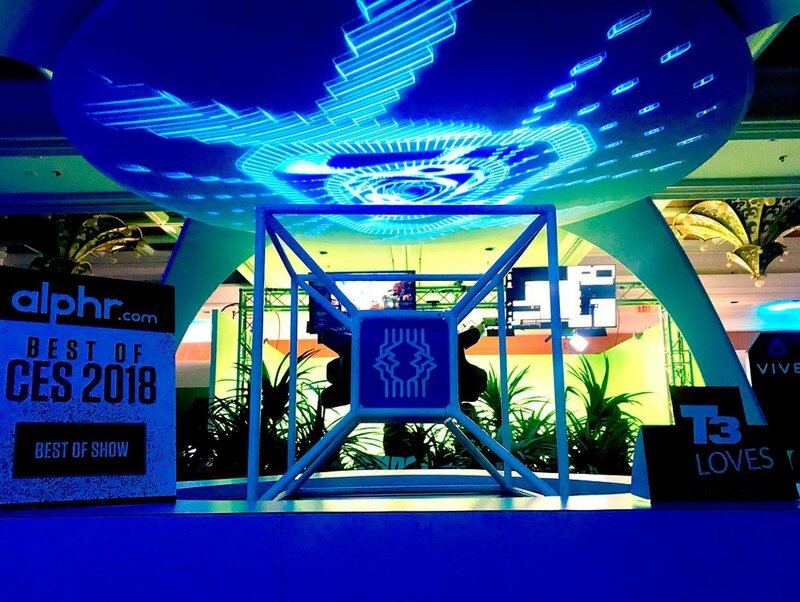 The project won the Best of CES 2018 award. We developed a system for powering interactive retail displays units for up to 24 hours per day without a recharge. The system recharges to full capacity overnight using a high power inverter-charger. 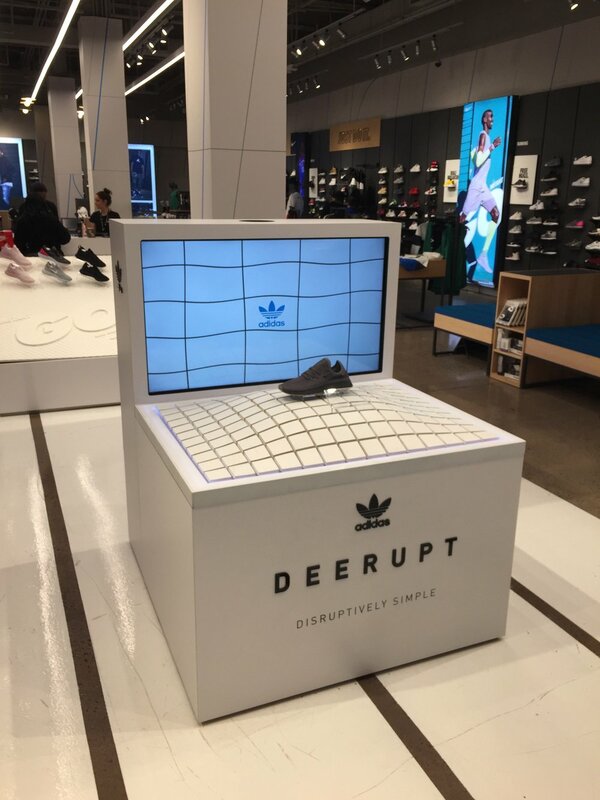 These retail units were used to display a new shoe that Adidas was launching called the Deerupt. Upon picking up the shoe, users would activate the screen and distort the video footage according to what angle the user held the shoe. A CNC mill that replicates itself. Cool or creepy? Complicated, that we can say for certain. This project was the brainchild of Jim Cummings who brought us some plans and some parts and the rest is history. Our friends at Autodesk really loved this project, and we hope to see it for sale soon. Imaging having to yank a 100 x 50' tarp over a greenhouse everyday, all summer long. Well, those days are over. These boxes were commissioned by a local grower for the autonomous activation of motors in two directions. We should call these things The Backsavers. Growers rejoice!